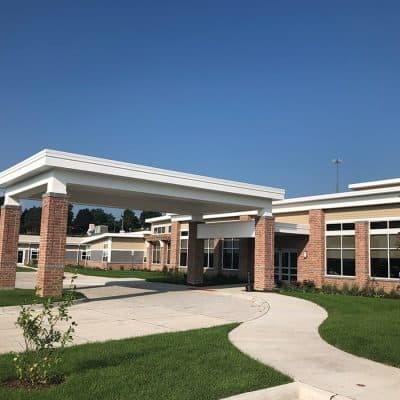 This new 80-bed skilled rehabilitation and long-term care nursing facility and 30-unit memory care assisted living began construction in September 2016. 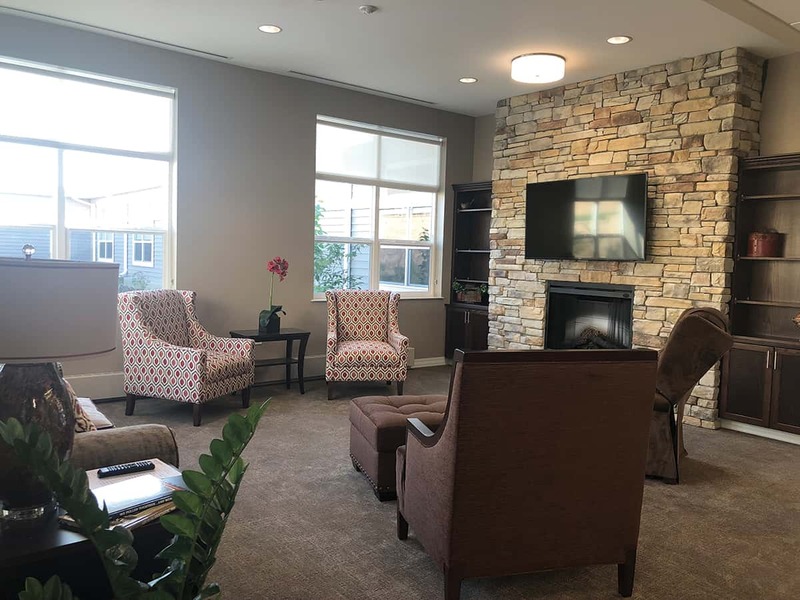 The neighborhood senior living design concept features spacious rooms with private baths, clustered into four households, one devoted to memory care. 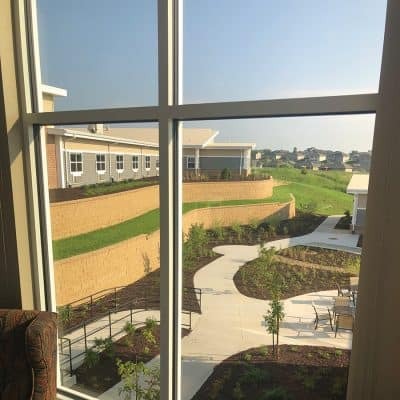 Amenities include resident dining with a display kitchen, private dining for family gatherings, activity spaces, common living areas, a wellness center, spa salon, screened in porches, and three interior courtyards with walking paths and gardens. 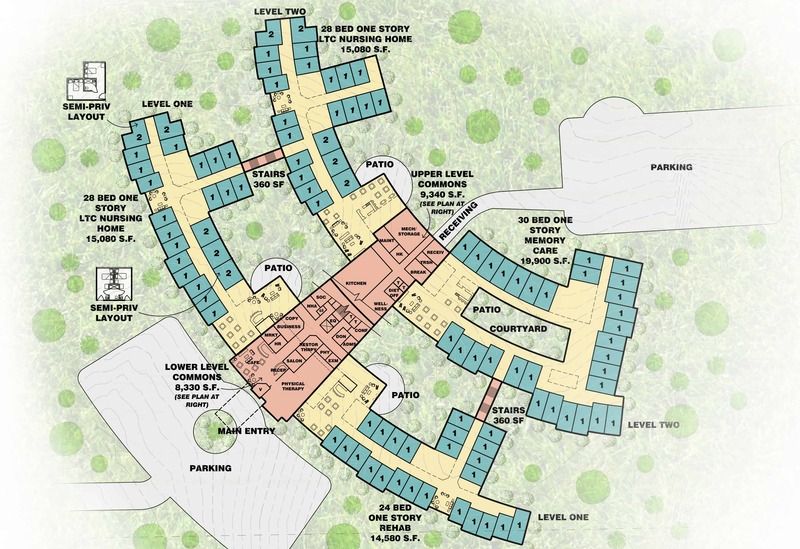 The floor plan was developed to maximize views on a site with 60 feet of elevation relief, including an elevated outdoor dining/activity area. 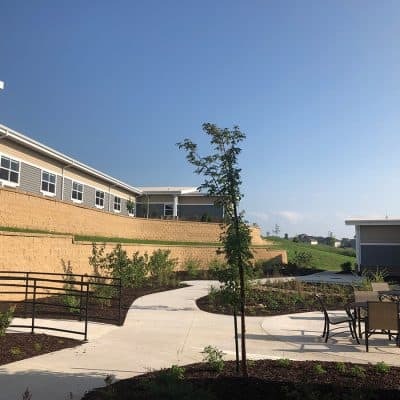 The pre-design phase of the project included creating a master facility plan that reflected the combined visions of Hawkeye Care Center key stakeholders while factoring in market demand, and enhancing existing care offerings. 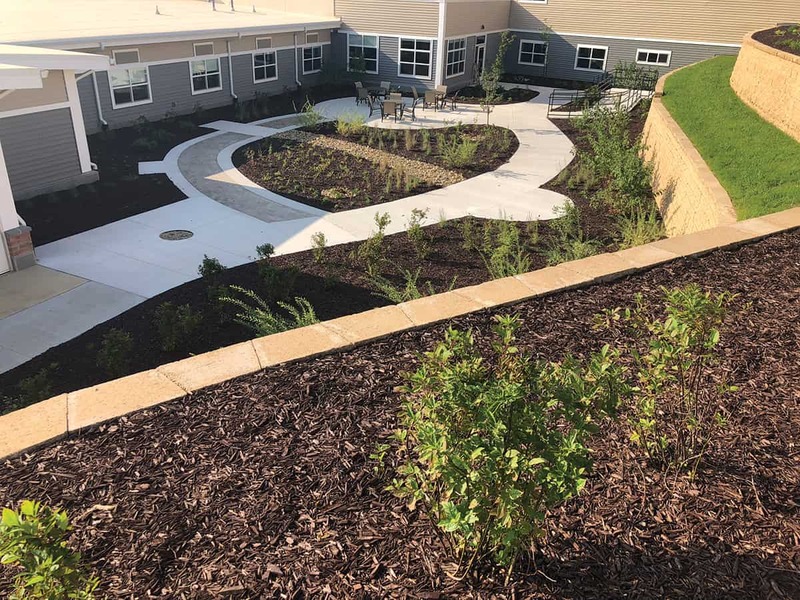 We researched remodeling the existing building but found it was not a cost-effective alternative. 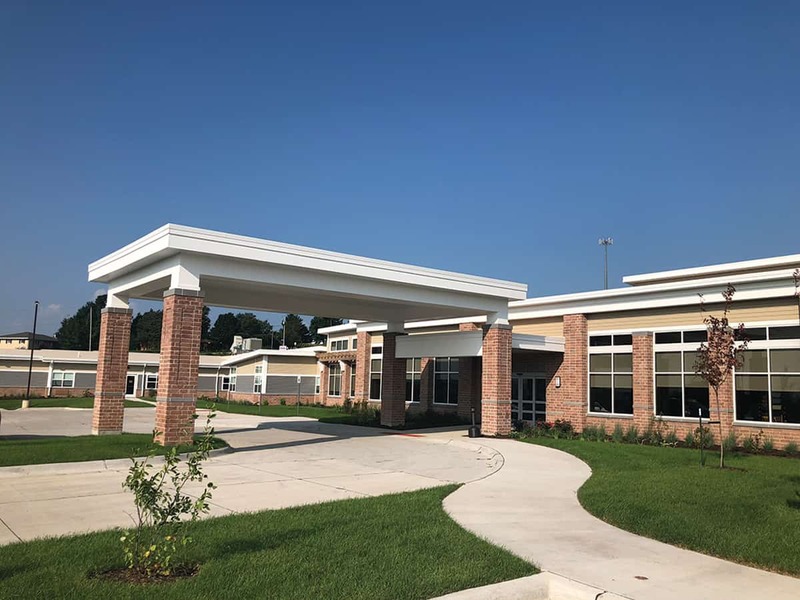 We took the challenges of the existing building and turned them into successes for the new facility while factoring in market demand and enhanced care offerings. 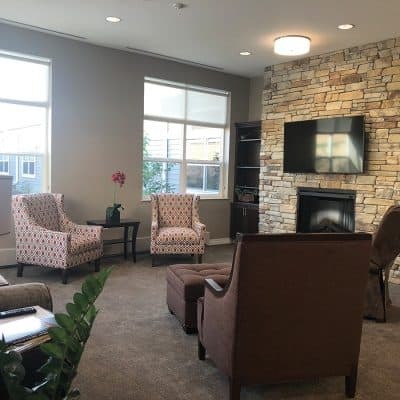 Residents enjoy engaging in meaningful activities, nurturing their spiritual needs, and gathering in common spaces throughout their household. Spacious suites provide independence, privacy, dignity, and room for personal affects to create a sense of belonging. 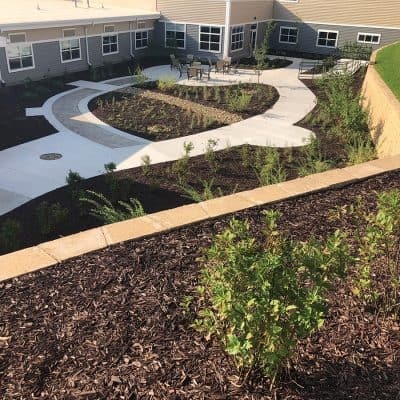 Enclosed gardens with walking paths and playground equipment foster multigenerational fun and entertainment for residents and their families. 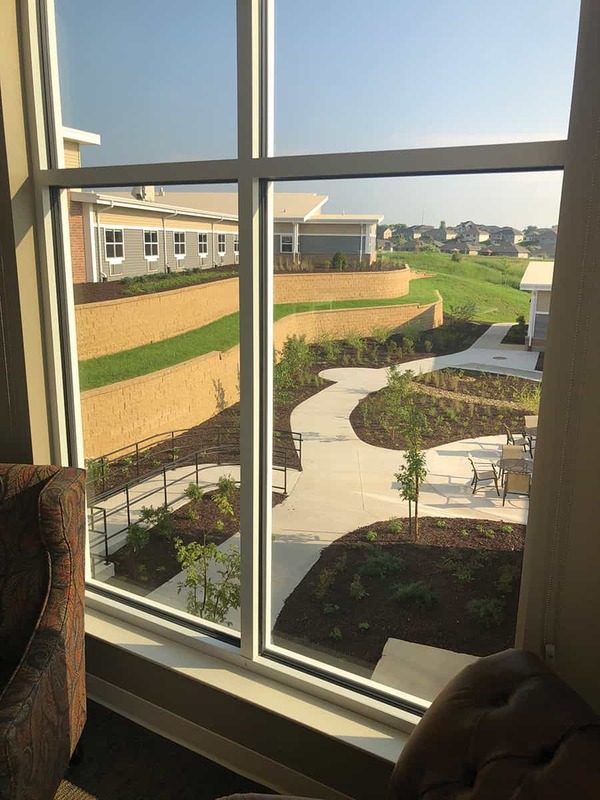 Resident quality of life has improved dramatically having moved from shared to private rooms with private baths that are double the space of the former facility. 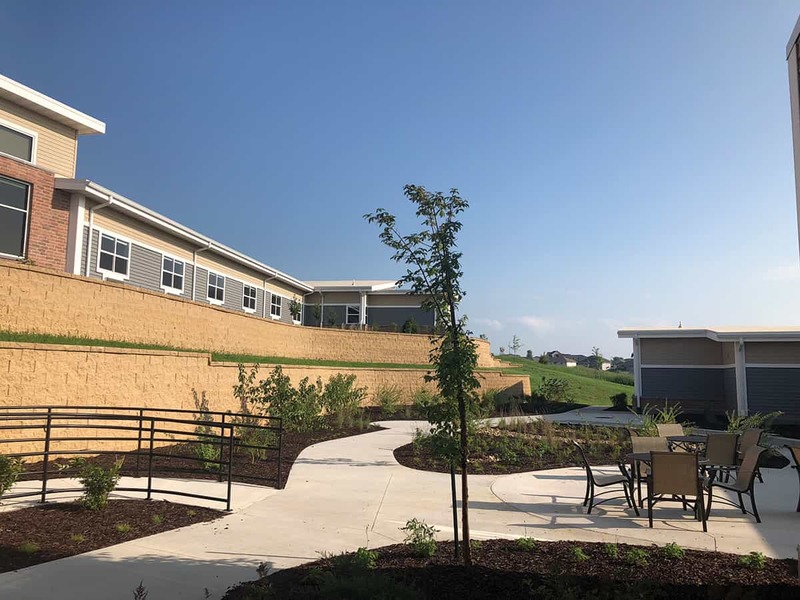 We also incorporated therapeutic outdoor walking paths on the new site, which has seven times more acreage than the original site.